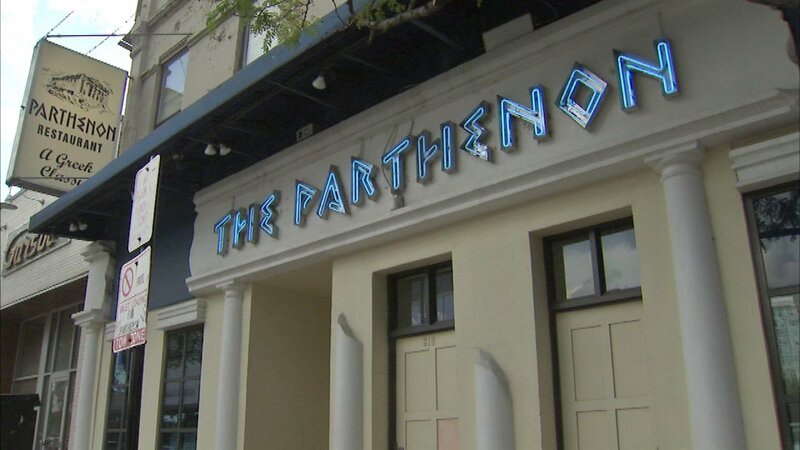 CHICAGO (WLS) -- It's the end of an era in Chicago dining as The Parthenon closes its doors after 48 years in business. The popular Halsted Street spot - best known as the originator of the flaming cheese dish, saganaki - closed its doors for good this week. A sign on the door said the Greektown restaurant has permanently closed. The Parthenon was also the last of the city's Greek restaurants to make their own gyros in-house.